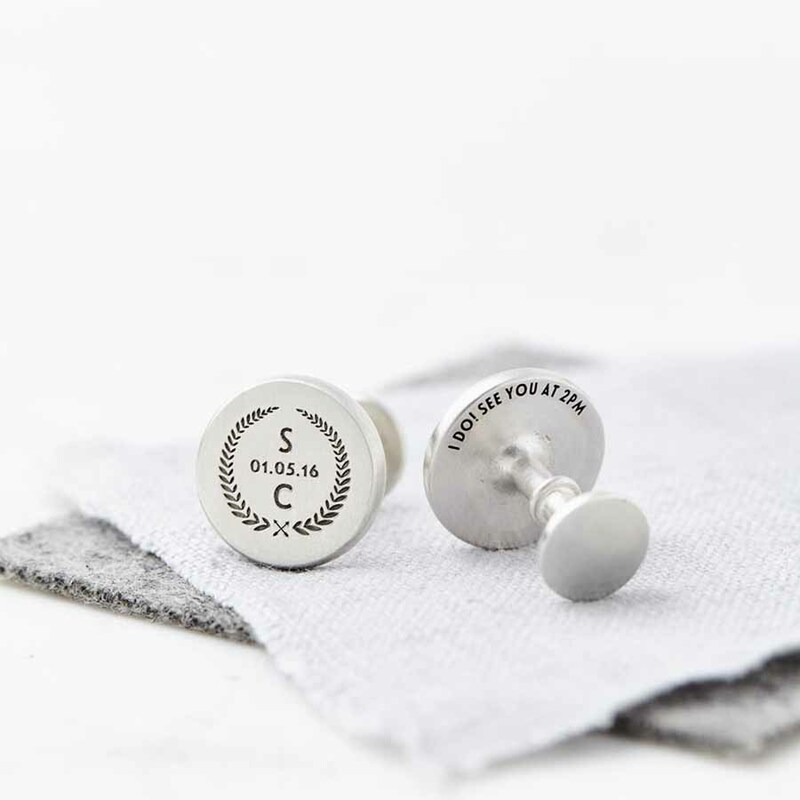 Beautiful solid sterling silver cufflinks for your groom, etched with the wedding crest shown in the images or your own wedding crest. We can use a wedding crest that you have already created, or we can use the crest shown in the images above, with your initials and wedding date. 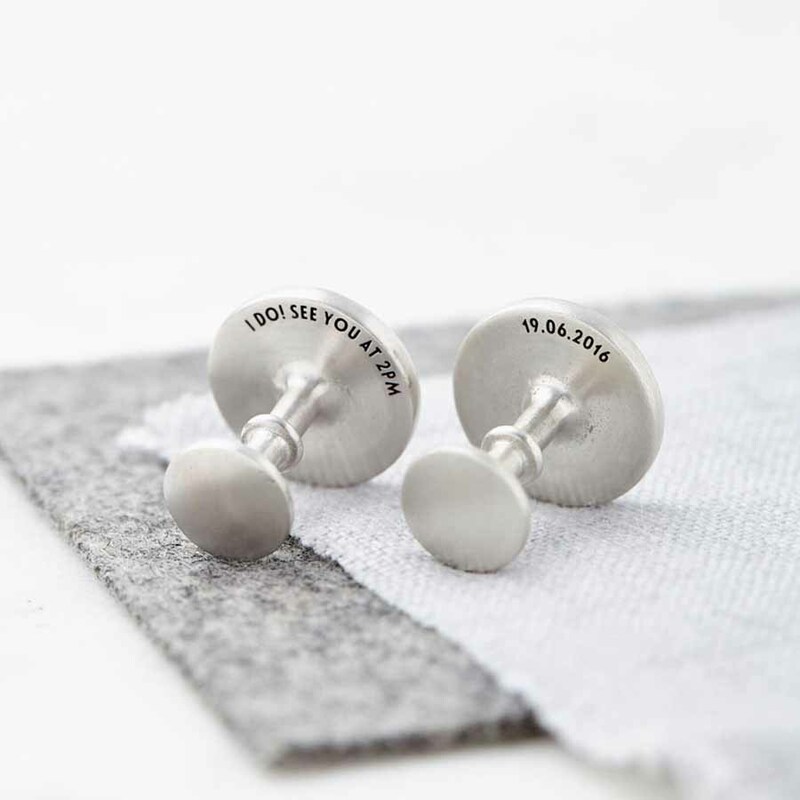 A secret, hidden message can also be etched on the back of one or both cufflinks, something between just you and your groom. 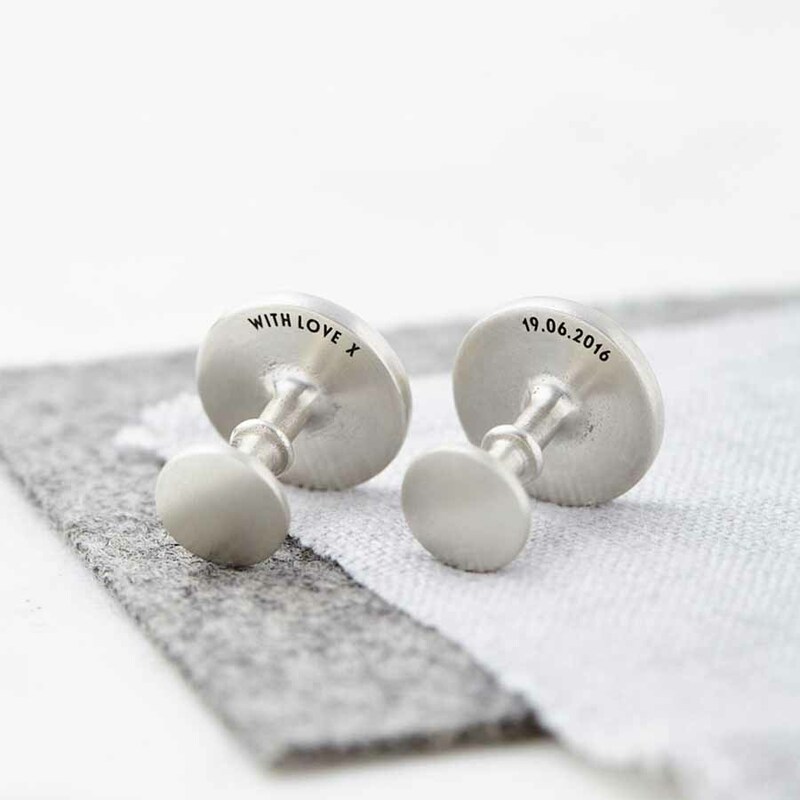 These would make the perfect gift for your groom to wear on your wedding day, finishing his outfit perfectly, and something he can keep and wear forever to remind you both of your special day. 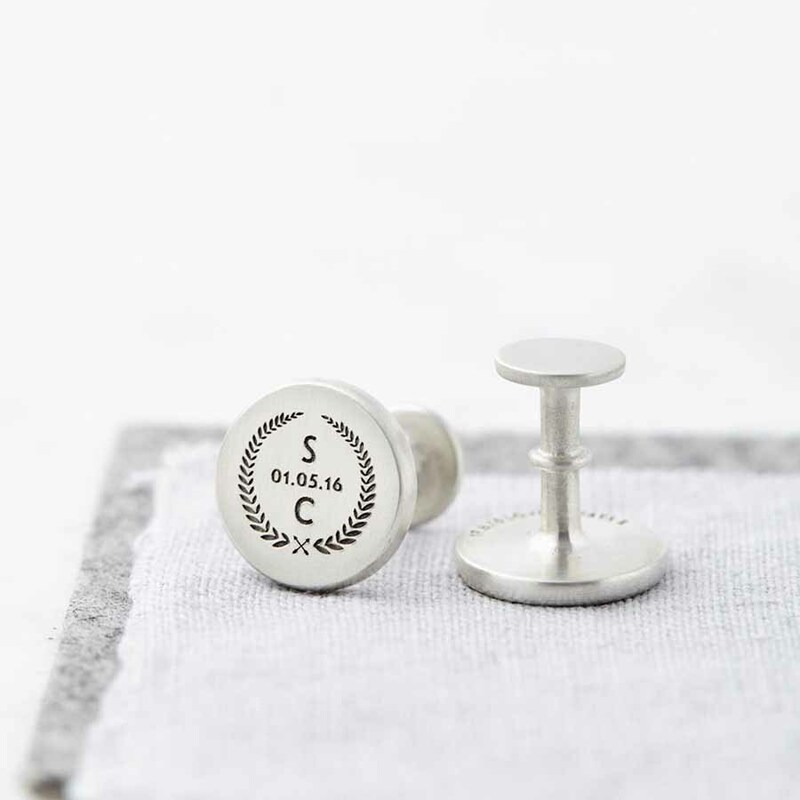 If you would like your own wedding crest etched on the cufflinks, email this once you have placed your order (either a jpeg or PDF). 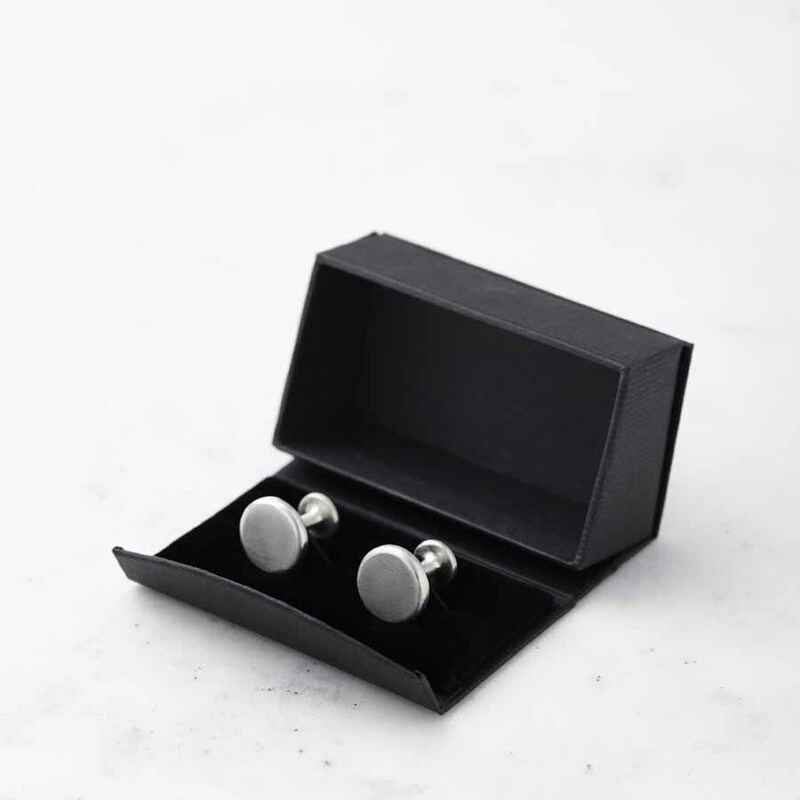 The cufflinks are beautifully presented in a Sally Clay Jewellery cufflink box – this service is completely free of charge. Sterling silver with a matt/satin finish.